It’s best to start the day is with a decent breakfast – you can’t celebrate or make clear decisions on an empty stomach. You may feel a little too stressed out to get to sleep but it is crucial that you’re operating at full capacity on the day, so get plenty of rest. You’ve got decisions to make! Collect your results with a parent or friend who isn’t also getting their results that day. Whether you do really well or really badly, you’ll have someone there to focus on you and supply you with the support or congratulations you need. They’ve been through it all before and they’re here to help. If you’re worried about your results and don’t know what the best course of action is we’re here to help. Your tutor might recommend having your paper re-marked or re-sitting the exams. You can check whether you’ve got into your preferred university on Ucas Track. 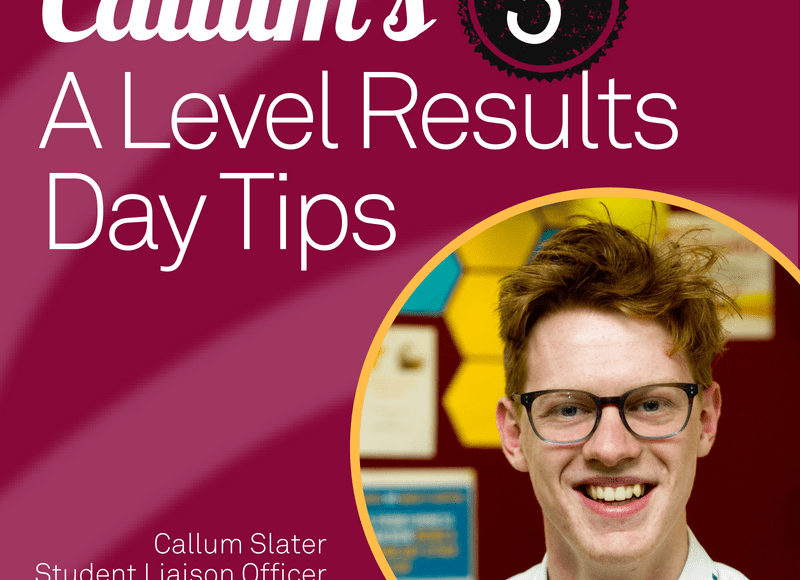 If you make your university offer, great: you can start your celebrations! You don’t need to do anything else but wait for the university to be in touch with information on starting university. Don’t panic if you miss your offer. Life doesn’t always go according to plan, and that’s what Clearing is for. Approach results day with an open mind, and if you end up in clearing, be prepared to consider universities that you might not have thought about previously. Whatever your grades mean you’re going to do next, try to stop worrying about your A Levels and start planning for your future. Barrow Sixth Form College is open from 7:30am until 4pm on Results Day, with tutors on hand to support and give advice. Parents and students can also contact us over the summer with any queries.